During your vacation, what could be more pleasurable than having a cruise ride? Are you also looking for a wonderful experience in one of the best cruise liners? If yes, then you can choose from the most luxurious cruise liners. CAMINO TOURS & TRAVELS is a Kolkata (West Bengal) based tour and travel company that is a reliable name for availing Cruise Services. 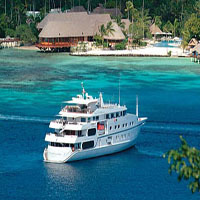 All the reservations will be made by our company to offer you safe and splendid cruise stay. We are providing you the best Cruise Services, as per your budget.